Can Fasting Help with Depression? To find the results in rodents, scientists placed mice in an inescapable water tank where they were forced to swim for 6 minutes. This induces "behavioral despair", in which the animal loses hope to escape the stressful situation. The escape-related "mobility behavior" is then measured. This is called the "forced swim test", a popularly used evaluation for antidepressant drugs. This mice study demonstrated that 9 hours of fasting significantly inhibited "immobility" in the mice, which was comparable to an antidepressant drug called imipramine. This anti-depressant effect of acute fasting was blocked by a serotonin receptor agonist, and in turn, reversed by a serotonin receptor antagonist called ketanserin. BDNF: Brain-derived neurotrophic factor, which helps stimulate the process of neurogenesis. Compared to controls, acute fasting enhanced expression of both of these markers, namely in the prefrontal cortex for c-Fos and in the frontal cortex and hippocampus for BDNF. Again, these enhancements were inhibited by a serotonin receptor agonist and reversed by ketanserin. 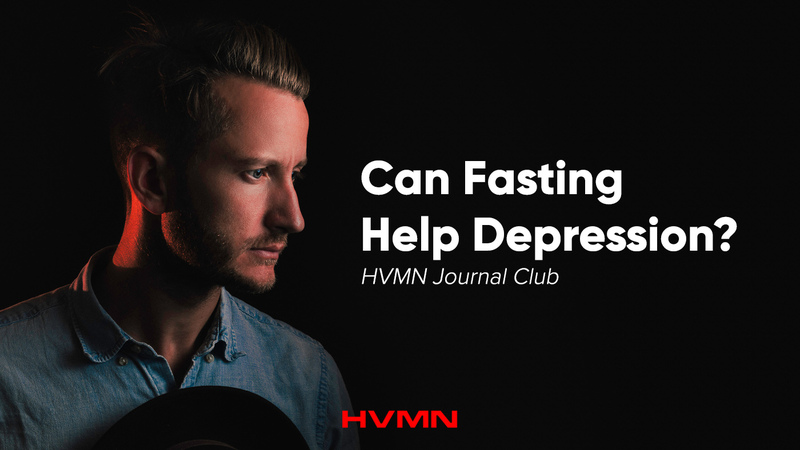 These findings suggest that fasting may be potentially helpful against depression and that the antidepressant-like effects of acute fasting may be mediated via 5-HT2A receptors, c-Fos and BDNF pathways.